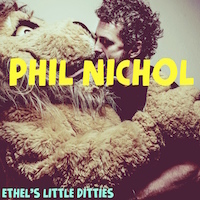 You can download Phil’s two music albums, ‘Ethel’s Little Ditties‘ and ‘Late Night Electric Watermelon‘ by following the links below. Beyond that, follow Muscle to the 11th Dimension, where you’ll find band leader, The Boss, bears a striking resemblance to Phil…. 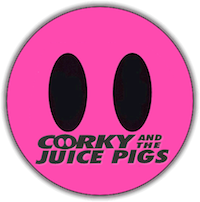 And if you’re feeling nostalgic, all of Corky & The Juice Pigs‘ work is now available on iTunes, and there’s a few more bits & pieces here. 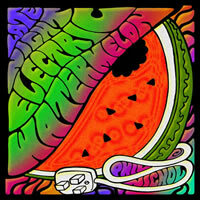 Get more from Muscle, here.